The Congress on Tuesday partially welcomed Prime Minister Narendra Modi's visit to Israel, while hoping that it is not being "done not at the expense of India's traditional loyalty and ties to the Palestinians". Congress spokesperson, Shashi Tharoor said that as the Chairman of the Foreign Affairs Committee, he believes that the relationship has reached a level of maturity which makes it possible for India to contemplate the first ever prime ministerial visit to Israel. "President Mukherjee went last year. So, now we are taking it to the level of chief executive of the nation. As far as foreign policy is concerned, we hope to keep this a national issue, and not a political one," Tharoor told ANI. 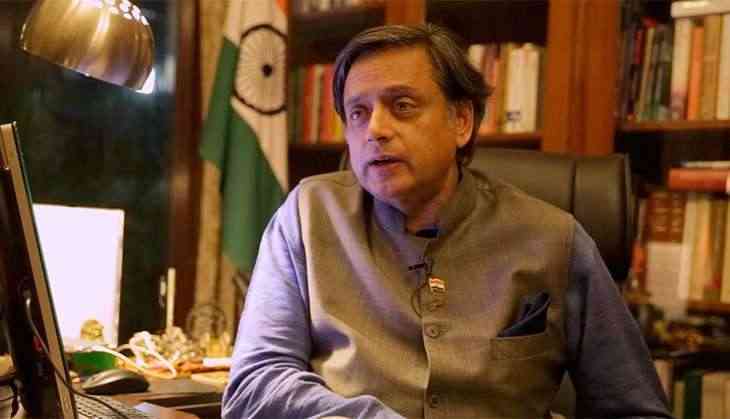 However, Tharoor maintained that the Ministry of Foreign Affairs should have thought about the fact that Prime Minister Modi is visiting Israel but not Palestine. "I hope the Ministry of External Affairs has done its homework. For example, the fact that the Prime Minister is going to Israel but not to the Palestinian authorities must have been thought through," he said. "This is a very important relationship which India needs to sustain, while at the same time making sure it is not at the expense of our traditional loyalty and ties to the Palestinians," Tharoor added. However, Tharoor maintained a positive view and suggested that if the visit is carried out properly, then there is no question of an issue. "India has often had an allergy to hyphenated relationships. We have always told Americans, when you come to India, why you must go to Pakistan. By the same logic, we are also not hyphenating Israel and Palestine. I see no particular harm in that if we play our cards right," he said. Congress leader Salman Khurshid also expressed his concern over the issue of Palestine. "But, the larger question of Palestine remains looming large and the Government doesn't seem to have given very clear positions on that. To go without giving clear position can lead to difficult situations," Khurshid told ANI. Khurshid reiterated that till the time issues of Palestine are not resolved, India cannot endorse Israeli policy. "Prime Minister Modi is a proactive leader reaching out to the world and I imagine, a part of his desire to reach the Israel is understandable but it is a fundamental departure from consistently help policy of the Government of India which reflected a consensus in the country that till such time as the issues of Palestine are not sorted out, we cannot be seen and endorsing Israeli policy," he said. Upon arriving in Israel, Prime Minster Modi will hold talks with his counterpart Benjamin Netanyahuin Tel Aviv on all matters of mutual interest. This year both the countries are commemorating 25 years of diplomatic relations. READ NEXT >> Is Athiya Shetty is looking for image change?